As a busy woman, I will be quick to tell you that nothing is more annoying than going to the store and trying to find new products for a recently discovered need. Most of the time I go with what I know not because I’m unwilling to try new things, but because I’m in a hurry and go for what I know works. This is one of the reasons I have always loved subscription boxes. They have allowed me to try some truly unique products without the risk of having 50 million bottles around my house and getting that horrified look from my husband when I tell him that I really don’t like any of them. The problem with many of these products, however, is that they come in such tiny sample sizes they are almost useless. Wouldn’t it be great if there was a company that sent out full size products in their boxes at a reasonable ‘trial’ price? 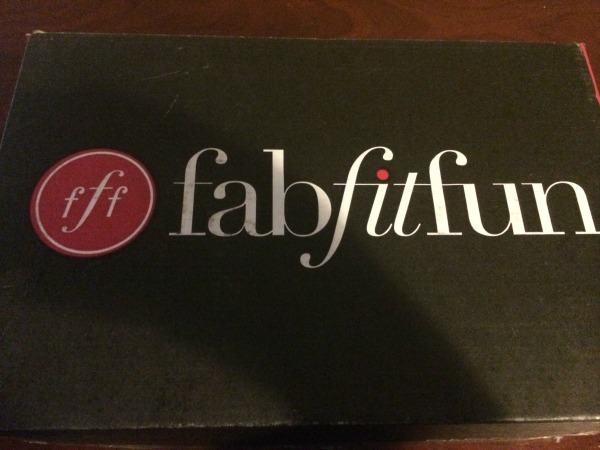 Luckily, I found just the box for me – the FabFitBox! Looking for a subscription box filled with full size beautiful, fashion, and fitness products? If so, we think you will love the FabFitBox! This seasonal box is sent out every three months and includes handpicked items that they think every woman would love. They know that we are all too busy to try out every different beauty, fitness, fashion, or wellness product, so they do their best to pick things they think will fit our lifestyle. It doesn’t matter if you are a busy mom trying to get the kids ready for school or a recent grad trying to lose weight, the FabFitbox has something for every woman! Having tried quite a few subscription boxes over the past two years, I wasn’t certain what to expect out of the FabFitBox. What I got truly blew me away. This box not only carried a variety of full size products, but products that really mattered to me. Some of the products in my box included dry shampoo, bath bombs, a nice stability ball, and a workout DVD. With a nice and wide selection of products I think this box was definitely worth the money. Based on my own experience with this box, as well as the quality and variety of products inside, I am happy to give the Spring FabFitBox an A rating! Want to purchase this seasonal subscription box for yourself? You can purchase this amazing subscription box filled with over $225 in full size products for $49.95 a season. Even better, you can get $5 off the summer box by using the coupon code – budgetearth! Once you have tried these products you will see why people love the FabFitBox! What a great sampling box and I love that the products are full size. This would make a great gift for my daughter who loves trying new products. I had to laugh, I know the look from the husband all too well. I’ve never tried any of these boxes. Maybe I should. I love trying new products. sounds like there is quite a few products in there and the price is good. I am considering buying this now and when it’s only every three months, I think I can afford it. Thank you for sharing. I have heard so much about these boxes lately. I have wanted to try one. Thanks for sharing. This does sound fun and also a great present for the person who has everything or is hard to buy for. I do love the picture of the interesting items you showed. Will keep this in mind for future presents. This sounds great! I love these subscription boxes. What a neat creation! It would feel like Christmas each time I received this in the mail! I love getting surprises in the mail. I haven’t tried any of these boxes yet. I have never heard of Fab Fit Boxes before. This would be fun to get a surprise in the mail. I love trying new products.